All you need to do is send in a photo a door hardware product you have purchased from us, either being fitted or once the project is complete. Send your entries, along with your name, town and description of your product or project and location, to competition@doorstuff.co.uk. The winner with the most creative or interesting entry will receive a 7” 8GB Kindle Fire HD, and a runner-up will receive a £50 Amazon Gift Card. Selected entries will be available to browse on our Pinterest Photo Competition Board. UK residents only – Terms and conditions apply. Happy snapping – we look forward to your entries! Contestants can submit up to 3 images. Photographs can be either taken by yourself in the style of a ‘selfie’, or just the hardware itself. Images should be in jpeg, tiff, or gif format. Please include how you’d like your name to appear. Deadline for submissions is August 31, 2014. Send submissions to competition@doorstuff.co.uk, along with your name, town and brief description of your product or project. By submitting your photos, you grant permission for them to be posted on the Doorstuff website, Facebook, Google +, Twitter and Pinterest pages. 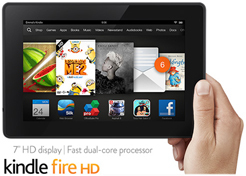 The winner will receive a 7” 8GB Kindle Fire HD. The runner-up will receive £50 Amazon Gift Card. 1. The first prize is a 7” 8GB Kindle Fire HD. There is one second prize of one £50 Amazon Gift Card. 2. The deadline for receipt of entries to the competition is midnight on 31 August 2014. 3. Incomplete entries will be deemed invalid. 4. Maximum of three entries per person and all entrants must be aged 18 or over, and have bought their product from Doorstuff. 5. The winner and runner-up will be selected by Doorstuff Limited based on the most creative and interesting entry. 6. The prize winners will be notified by email no later than 2 weeks after the entry deadline. 7. There shall be no cash alternative to the prizes offered. 8. The prizes are non-transferable. 9. Employees of Doorstuff Limited and its associated companies will not be eligible to participate. 10. By entering the competition you are permitting Doorstuff Limited to publish your photographic entry, name and town on the Doorstuff website, Facebook, Twitter, Google + and Pinterest pages. 11. By entering the competition you are permitting Doorstuff Limited to contact you from time to time with details of other door hardware products that may be of interest to you. 13. Doorstuff Limited accepts no liability for the prizes. They are supplied “as is” with no express guarantee as to their suitability. Any faults or queries with the prizes should be directed to the manufacturer. 14. Entry into this competition constitutes acceptance of these Terms and Conditions. This entry was posted in accessories, digital locks, door closers, door handles, hinges, panic hardware, pocket doors, service, sliding door gear, window operators and tagged competition, door hardware, Facebook, Google+, Kindle Fire HD, photo, Pinterest. Bookmark the permalink.